The Mexican market’s importance in the Latin American context is not new. The nation has occupied an important place among the main ecommerce markets in the region, staying behind only of Brazil. No wonder the country is one of the first to be considered by entrepreneurs seeking to expand their business to Latin America. 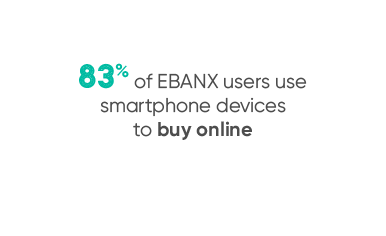 EBANX evaluated the behavior of the Mexican consumers as well as the importance of payment methods in the region, even when it comes to international websites, and produced an exclusive report to answer all your doubts on this market. The research was conducted through an online survey, in June 2018, with 13.686 EBANX Mexican customers that had access to the internet. The digital inclusion is one of the main reasons for the accelerated growth of the Mexican market. Access to the internet is a shrinking barrier in the country and the popularization of smartphones was one of the main factors that helped Mexico change its game. Mexico is a young country. About 50% of its population is on their 30s or less. 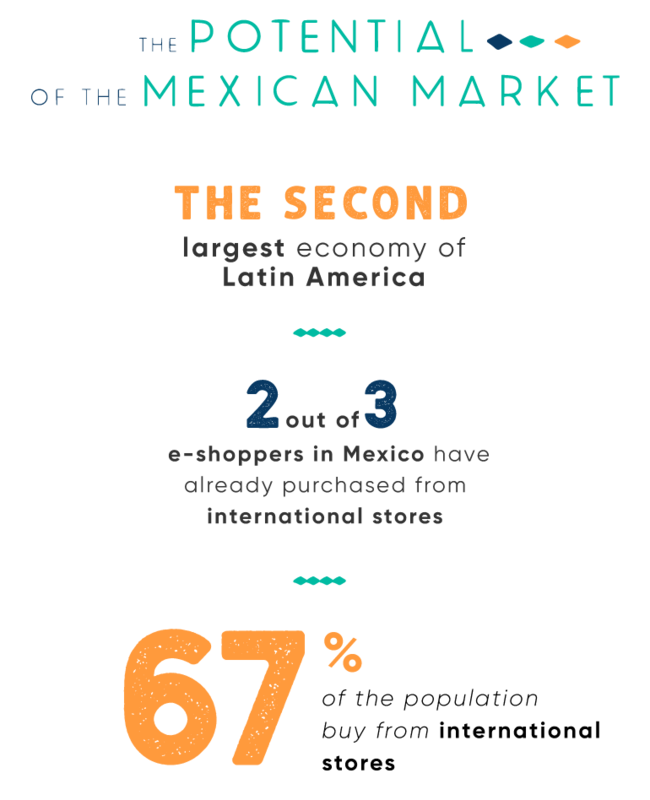 This reflects straight into the ecommerce landscape, as 66% of the online consumers that bought from EBANX in Mexican e-commerce stores is between the ages of 18 and 35 years. The profile of young consumers is one of the most favorable factors for ecommerce growth, as this audience tends to have more affinity for technology and is more open to new purchase possibilities. The study also revealed that being in an economically active moment is another factor for online shopping, as 60% of the surveyees are either employed, freelancers or entrepreneurs. Concerning locations, Mexico City stands out as an important commercial hub, since 39% of the respondents live in an urban area and, especially, in the capital of the country. Nevertheless, we cannot forget the country’s Northeastern region, in which 18% of the surveyees live and that is one of the strongest regions in terms of economy, located next to the US. Understanding the audience behavior according to its geographic location it’s as important for international stores as for local ones, since this comprehension can lead to better decision-making concerning logistics and advertising, for instance, helping to reduce costs and optimize product management and profit. The mobile era is established in the entire world, and it is not different for Mexicans. According to data from the Instituto Nacional de Estatística e Geografia do México (INEGI), 81 million people have access to a mobile phone in Mexico, and 80.2% of them have a smartphone. The ability to easily access the internet from anywhere has completely changed the way consumers buy. If just a few years ago having a mobile-optimized website was a market advantage, now it’s a determining factor for the survival of a brand. Moreover, the idea of users first doing product researches on mobile devices and then shopping the product using a desktop is getting left behind; EBANX research revealed that mobile apps are one of the favorite buying channels of Mexican consumers. Thus, smartphones not only plays an important role in attracting new buyers but also in creating customer loyalty. 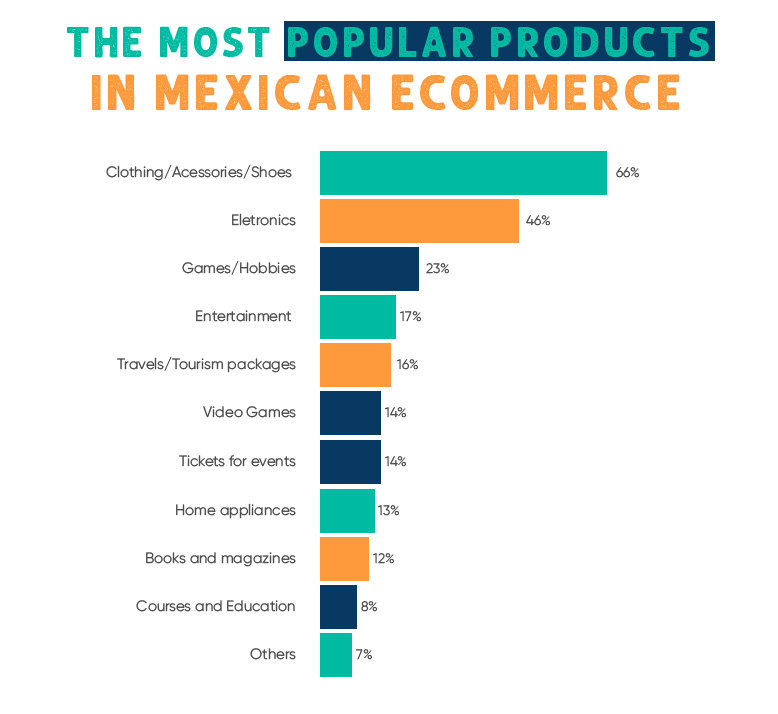 Apparel is still the most important category in the Mexican ecommerce scenario. 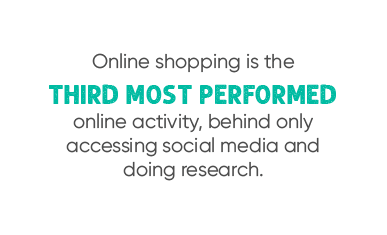 We have already talked about the potential of this industry in the region in this article and the results of the research have confirmed this audience’s affinity for shopping for clothes, shoes, and accessories online. 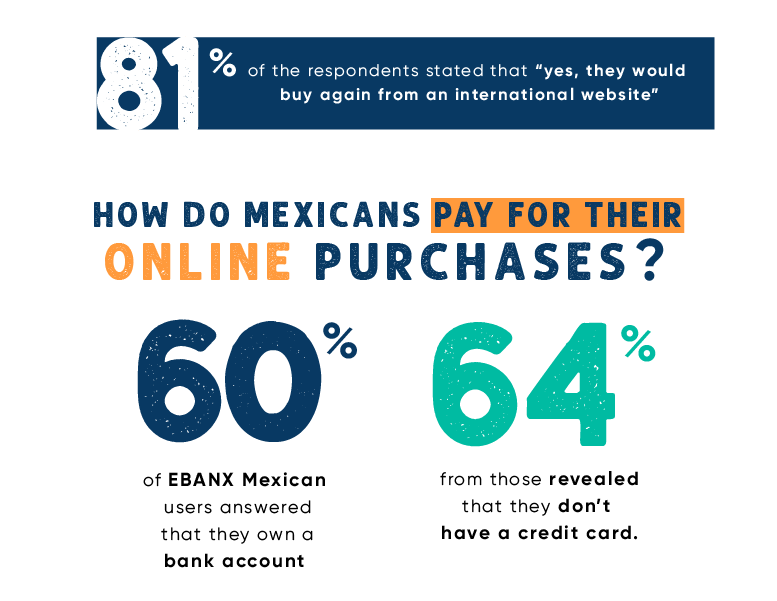 Still, the taste for apparel items is not the only affinity of Mexicans in online shopping; shopping from international websites is also something that is common for most of these consumers. Pricing and perks such as discounts are among the main reasons that leads a Mexican to look for international products. 8 out of 10 respondents claims to buy at foreign websites to get prices better than local stores’. The desire of buying different products is also an influence, as 46% of the interviewees says that they look for options that aren’t easily found in Mexico when shopping from an international store. One of the top reasons that make international e-commerce stores fail when expanding to Mexico is not understanding Mexicans’ behavior concerning payment methods. Still among the banked population, international credit cards are not unanimity, on the contrary: only a small portion of the population has one. 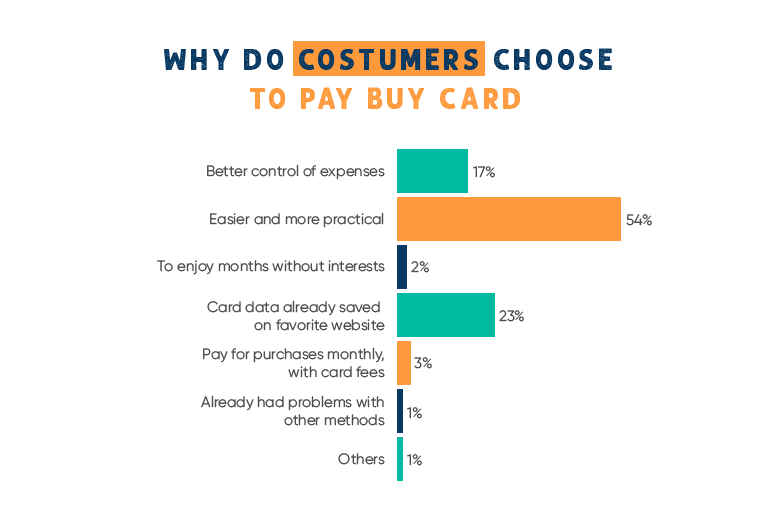 Because of that, the most popular payment method among the respondents was OXXO, a voucher that allows consumers to pay for online purchases in cash. The main reason for people to choose OXXO is how easy it is for them to pay it. There are more than 16.500 OXXO payment locations in the country, and the population is already habituated to buy using this payment method. On the other hand, the practicality is an unbeatable argument for choosing to pay with cards. 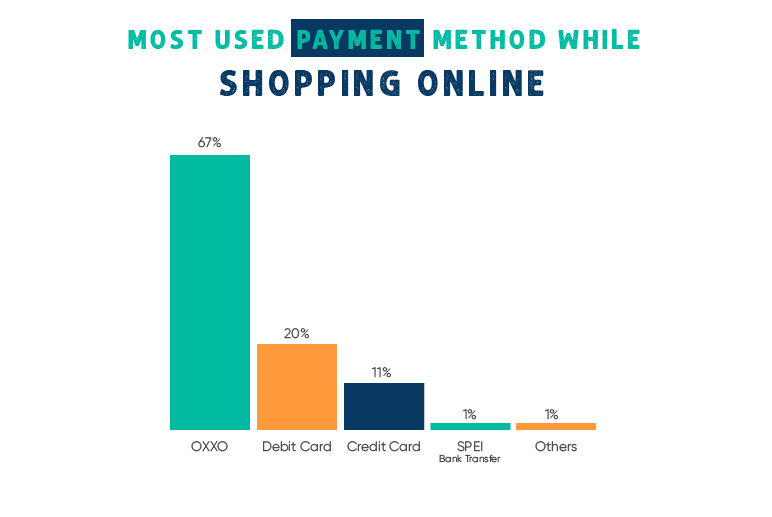 Among the 31% of the respondent that use this payment method to pay for online purchases, more than half do it because it is practical. Young, strong and growing at an accelerated pace. This is the definition of the Mexican ecommerce market. Having a deep understanding of the Mexican audience is key to take full advantage of all the potential Mexico has to offer to your business.